We drove into Grand Teton from its eastern Moran entrance station. First order of business: secure a campsite at Signal Mountain campground. 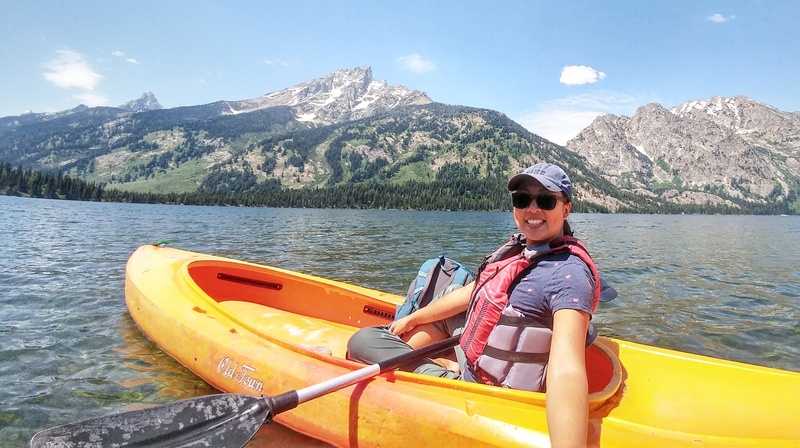 Most campgrounds are available on a first-come, first served basis, but Jenny Lake and Signal Mountain campgrounds are very popular. In fact, both campgrounds typically fill by mid-morning in the summer months so we were there early with fingers (and toes) crossed. RV/Oversized vehicle parking: Fortunately, though the Jenny Lake campground was full, we were able to snag a site (#22) at Signal Mountain. The roads are a litle narrow and the sites a little pricey at $50/night with electric, but the location was good. 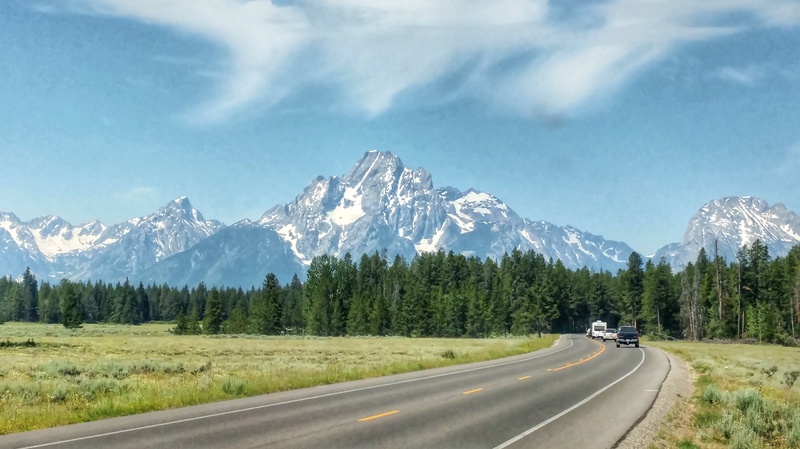 Driving to and from the campground you’re treated to beautiful lake views and of course, views of the Tetons! On one of our drives we saw what’s arguably thrvmost famous mother bear, Grand Teton’s bear #399 with her two cubs. 😍 But alas, still no moose sightings. We also stayed at Colter Bay campground for $30/night with no hookups. This campground can be reserved in advance and has convenient access to Colter Bay village, which offers many amenities including groceries, dining, laundry, gas, etc. From the Colter Bay visitor center, we joined a ranger-led hike to Swan Lake. 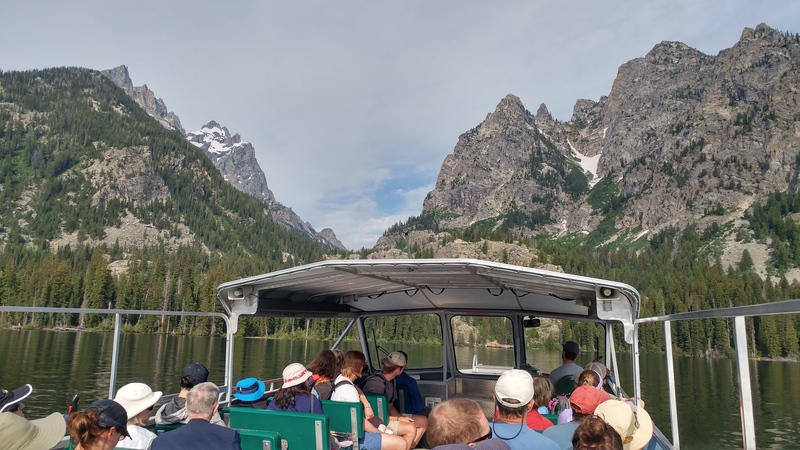 It’s a 3-mile, 3-hour tour where in addition to views of Tetons, you’ll hopefully see the wild swans that give the lake its name. We did, and saw a bald eagle, and some beaver dams and lodges too. But don’t forget your bug spray! Grinning from ear to ear – I’m at Grand Teton NP! 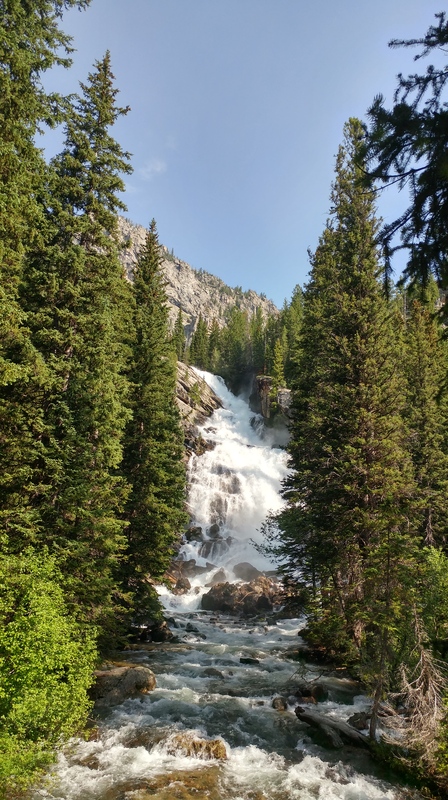 On our second day, we woke up early to head to the Jenny Lake visitor center to secure one of 25 spots on the ranger-led hike to Hidden Falls and Inspiration point. In the summer, the 8:30 am hike is offered daily, and luckily, we made it! 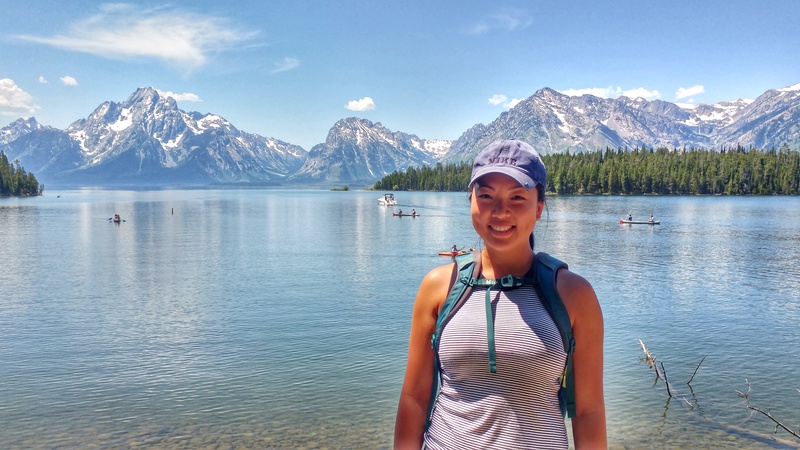 The hike was about 2.5 hours long and cost $15 as it includes a boat ride across Jenny Lake. The lake was named for an interesting and frankly, amazing Shoshone Indian named Jenny who helped maintain camp, guide the Hayden expedition, cook and clean, all while also taking care of her little ones. Now that’s a working woman!